Jolienne Collection was created by Hannah, a photographer and professional creative from Arizona. 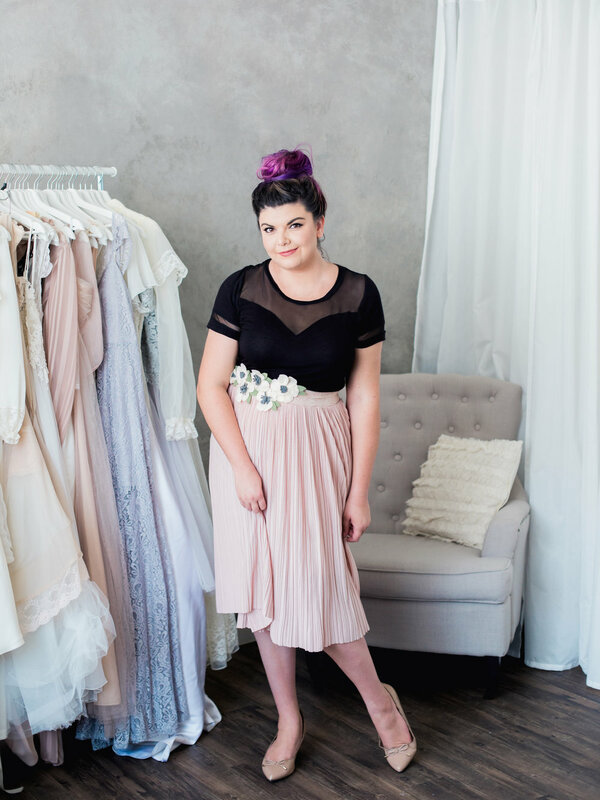 After constantly struggling to find affordable wardrobe options for every editorial photo shoot, she realized that something had to change, and found a gap in the industry for fine art wardrobe rentals, specifically for editorial and boudoir sessions. The Collection began as primarily boudoir wardrobe for her clients, but it quickly grew into a large inventory of beautiful, unique vintage dresses and lingerie. Today, it will hopefully fill the hole in the industry for interesting, yet affordable, wardrobe rentals, to use in editorial and client sessions all over the country. Well, it's actually a word that we made up! The root word, joli, is french for “pretty", with the suffix of -enne, generally meaning to be from. So technically speaking, it would mean “from pretty," as we strive to find the prettiest, most original garments available. Interested in a collaboration or sponsorship? Send us a note!